Megan Tisdale serves as the collegiate club's coach. Tisdale, who often performs with the group, began her own dancing career in 1981 with the late Ann Richens, ADCRG (certified Irish dance teacher and adjudicator) and competed for the Richens-Timm Academy of Irish Dance. 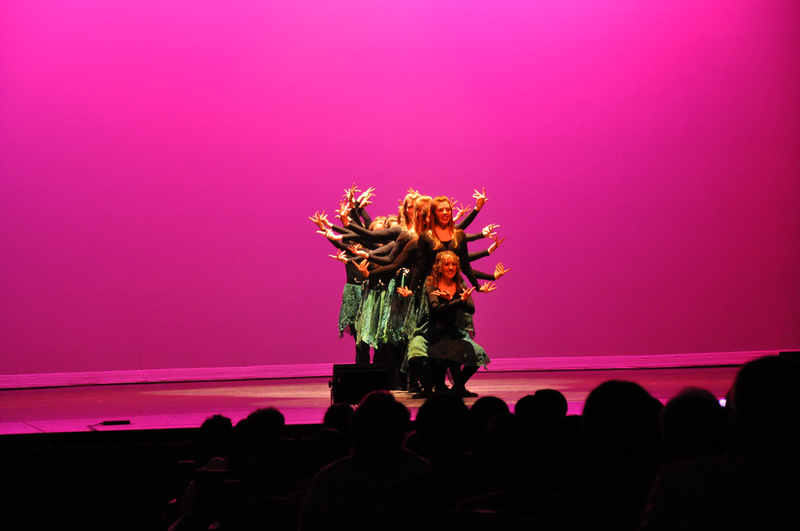 interest in our dance team has grown exponentially." 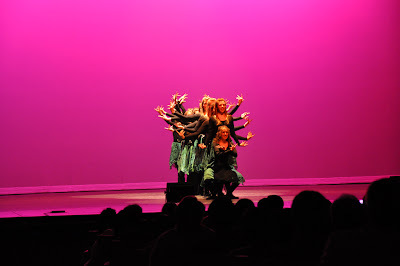 The group enjoys working with a talented musician group for their practices and performances and collaborating with other dance clubs for varied choreography. See for yourself in the unique Irish/Indian fusion dancing video below. 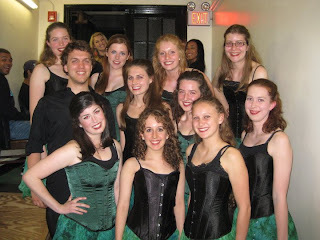 Dancers in Rince Diabhal range from never-danced-before newbies to competitive open champions. 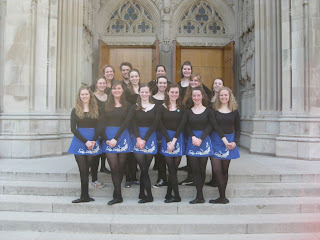 A few of the dancers attend a certified school and participated in Oireachtas (a regional Irish dance competition) in 2011. All of the dances are choreographed by the members of the club. Currently, Rince Diabhal are only extracurricular, but may expand to offer for-credit classes in the future. "Full inclusion, but no requirements," is the dance club's motto, meaning that all members are invited to perform if they feel comfortable but are never required. Coach Tisdale encourages all adults to try Irish dancing: "We invite anyone with an interest in Irish Dance and Culture to check out a school or a club in your area. You will find amazing people and unlock talents you didn't even know you had!" For more information about the Rince Diabhal dancers, please visit them on the Rince Diabhal website. 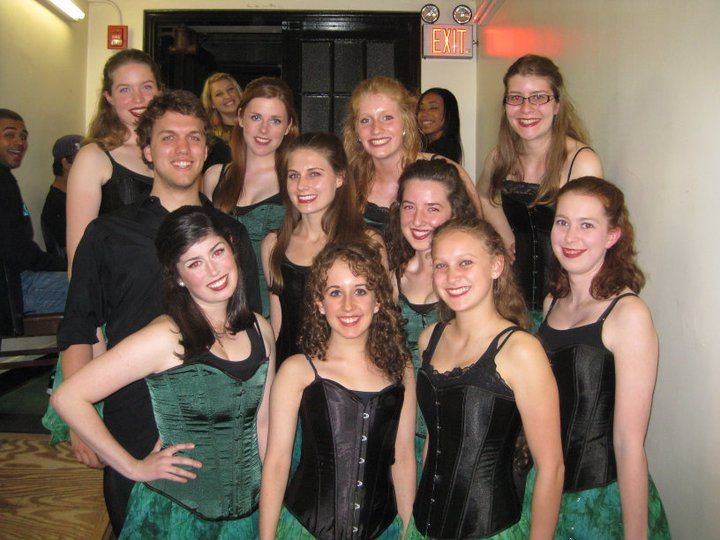 Readers: Do you attend a collegiate Irish dance club? 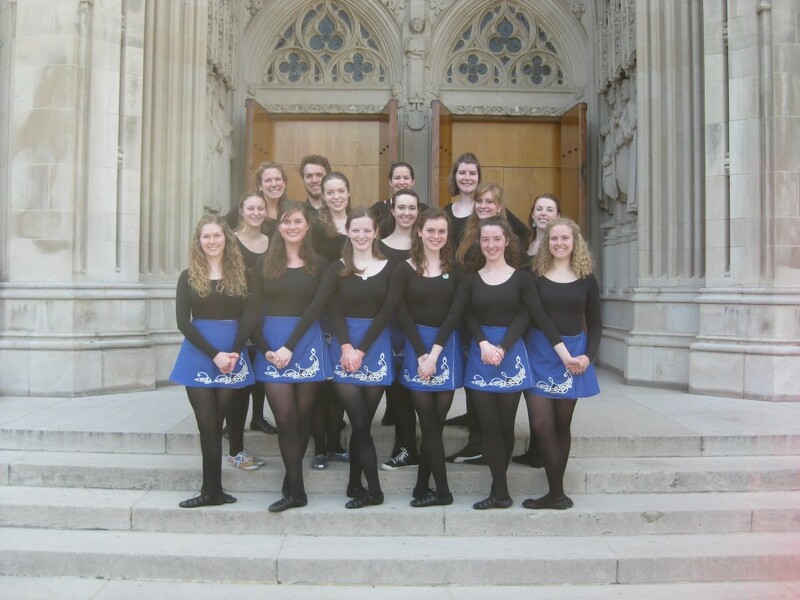 Does the option of having an Irish dance program influence your decision when choosing a college? Prodijig wins Got To Dance!